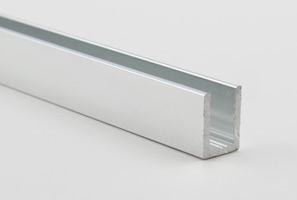 Just like choosing door hinges plays a large role in the installation and design of your shower. The hardware you select to secure the other glass panels together impact the final look of your frameless shower design as well as the final cost. 1. 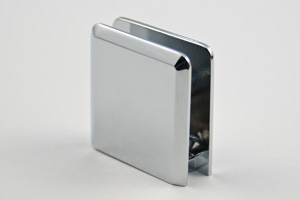 Heavy metal clips designed to achieve a true frameless look. 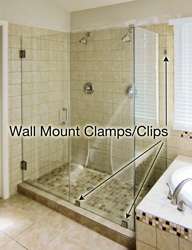 These two-inch clamps are mounted directly onto shower glass. 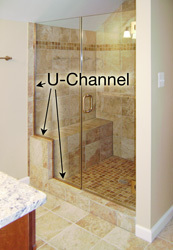 U-channels that fit over the edge of a glass panel or door, running the entire circumference. Then these rails are fastened together, forming a structural support. It creates what many refer to as a "semi-frameless" look.